Description : The name is derived from Greek word spatha, ‘spathe’ and phyllon, ‘leaf’ in reference to the leaf-like spathe. It is a genus of evergreen perennials with predominantly white and green spathes; there are 36 species, natives of central and southern America and the Philippines. Several species and varieties are grown indoors and also in warm and humid outdoor conditions. Grow Clean Air Benefits: A study performed by NASA and Dr Wolverton to determine how plants can remove pollutants was conducted. 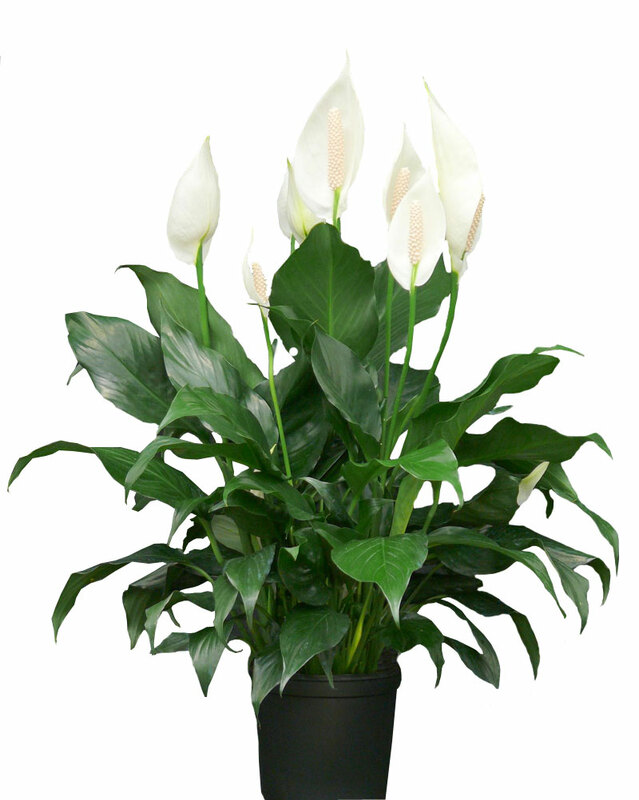 As you can see, the list here tells us the peace lily removes Benzene , Formaldehyde, trichloroethylene, Xylene, toluene and Ammonia. COMMON NAME: SPATHIPHYLLUM. BOTANICAL NAME: SPATHIPHYLLUM ‘CLEVELANDII’. A popular, free-flowering variety. Leaves glossy green, margin wavy, spathe large, ovate, white turning green with age.